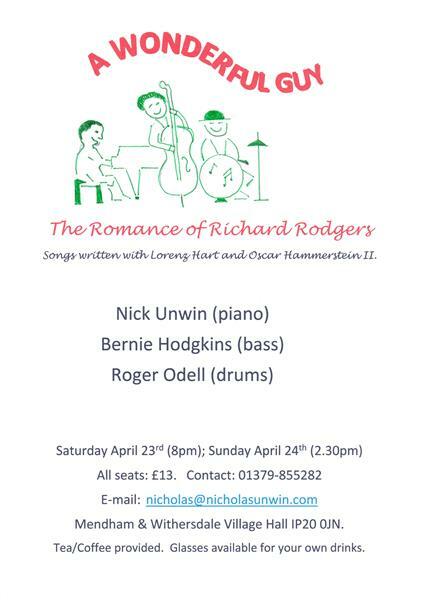 GIGS | Nicholas Unwin | - Norfolk Based Jazz & Classical Pianist. THANKS TO ALL WHO SUPPORTED THIS PROGRAMME OF BRILLIANT SONGS IN 2016. SORRY TO DISAPPOINT OUR LOYAL FOLLOWING, BUT NO NEW GIGS AT THE MOMENT.